Last night, I attended Lynn Steiner’s talk at Bachman’s about her new book, Prairie-Style Gardens: Capturing the Essence of the American Prairie Wherever You Live. One aspect of Lynn’s book that I think will make it extremely popular among home gardeners is her understanding that while many people might like to plant a prairie in theory, actually accomplishing it is difficult unless you live in the country. But any northern gardener can plant native or prairie plants somewhere on their property — even if it’s a small city lot. So, based on Lynn’s talk and my own prairie gardening experiences, here are five prairie plants that fit beautifully in traditional gardens. Harebell (Campanula rotundifolia). Emily Dickinson wrote poems about this late spring blooming meadow flower (“Did the harebell lose her girdle, to the lover bee…”), and who could blame her. With its sweet bluish flowers and feathery appearance, harebell is a classic meadow flower. It blooms off and on all season and can handle all kinds of soil conditions. It adds a delicate touch to rock gardens. 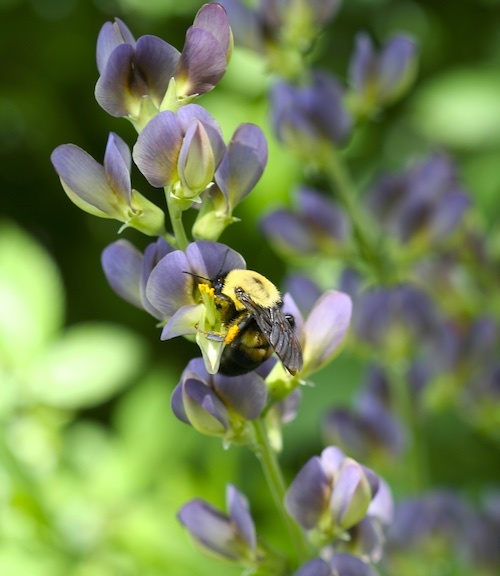 False indigo is a favorite for bees, and its sturdy foliage makes it function like a shrub in the garden. Wild Blue Indigo/False Blue Indigo (Baptisia australis var. minor). Several species of baptisia are available for garden use, and like this plant, they boast roundish-oblong leaves on straight stems and a purple-blue flower in spring. Lynn recommends this species, which is smaller than other baptisias and appropriate for cottage or formal gardens. I have one of the newer cultivars (Twilite Prairieblue), which will grow to about 3 1/2 feet tall and be almost shrublike. While the flowers are pretty, I really like the foliage on this plant. One note: Decide where you want to put it and leave it there. Baptisia do not like to be moved. Blanketflower (Gaillardia aristata). In addition to the regular blanketflower, many new cultivars have been introduced in the past few years. ‘Arizona Sun’ was an All-America Selection in 2005. Like black-eyed Susans and coneflowers, blanketflowers are ray-flowers, with a daisy-like appearance. But, they come in wild, bright shades of orange and yellow. An extra benefit of blanketflower is that while bees, hummingbirds, and butterflies love them, rabbits and deer do not. Prairie Smoke (Geum triflorum). What makes prairie smoke such a fun plant is its seed heads. A smallish perennial (6 to 16 inches tall), prairie smoke starts blooming in spring. The small pink flowers open up to reveal dozens of fingerlike styles that from a distance look a bit like smoke. It does well in dry or tough sites, so would be an ideal plant to put in a boulevard garden. One of my favorite native grasses: Prairie dropseed. Prairie Dropseed (Sporobolus heterolepsis). Many times landscapers say, don’t put prairie plants in the front yard. 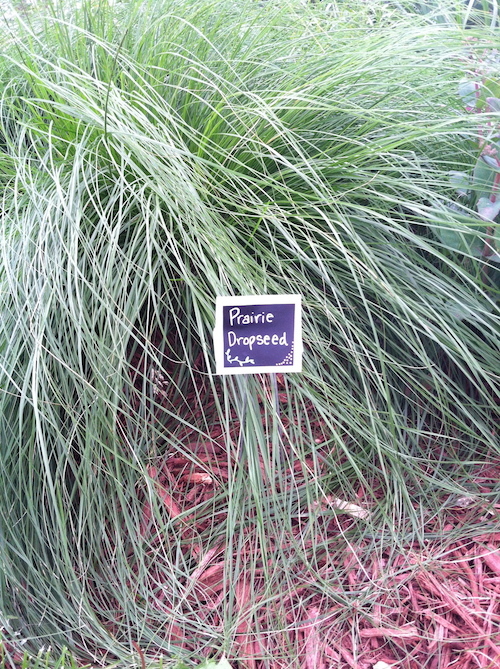 And, I’m sure there are some that should be relegated to the back, but prairie dropseed is not one of them. This petite grass grows right out front at my house, near the sidewalk in a garden devoted to prairie plants that can take lots and lots of sun. Prairie dropseed looks tidy virtually all year long and the grass-stems even have a light scent of cilantro. So, there are five plants to try, but there are dozens more. 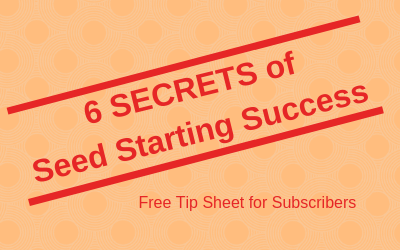 Check out Lynn’s book for further recommendations. spread in both locations, but all the new growth has the same problem. I really enjoy your blog. Thanks for all the hard work. Dropseed is a wonderful grass. Wish more folks planted it!